"very fast turn around, clearly written report. Thank you for the very quick response." I am an Austrian Board Certified Radiologist since 2008. Since 2011, I am the section chief of thoracic imaging at the Department of Biomedical Imaging and Image-guided Therapy at the Medical University of Vienna. 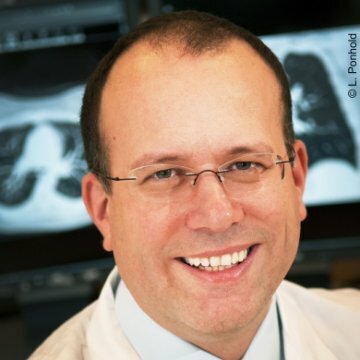 I am specialized in thoracic radiology with a focus on thoracic oncology and interstitial lung diseases. I am an author and co-author of more than 70 publications in international peer-reviewed journals. I received a very informative report from Dr Prosch. I appreciated the quick response and the detail captured in the report. The information is given at a level the patient can understand and I found it very educational. The suggested next steps were also appreciated and helpful. It is expensive to get medical imaging done, and therefore important to have confidence in the results. The service provided by Diagnose.Me and Dr Prosch opens up access to world renowned experts in the field. Thank you Dr Prosch. Dr Prosch wrote a well detailed report with supporting screen shots and explanations. His style is very readable, understandable and informative. Dr Prosch's profile reveals that he is an eminent professional in his field, this is reflected in the knowledge he conveys in his reports. Questions are answered unambiguously and to the point. He is a great example of an expert with a passion for his profession and in helping others. I recommend him highly. Dr Prosch answered all my questions. The report was informative and pitched at exactly the correct level for me to understand. The report contained images from my scan which put everything into context. Having input from such a highly respected professional allows me to stop focussing on the wrong areas and worrying unnecessarily. I would like to thank Dr Prosch for allowing me access to him. It has given me great reassurance and I can now focus on getting better. very fast turn around, clearly written report. Thank you for the very quick response.